Dr. John W. Rowe, current president of the International Association for Gerontology & Geriatrics, is the Julius B. Richmond Professor of Health Policy and Aging at the Columbia University Mailman School of Public Health. Previously, from 2000 until late 2006, Dr. Rowe served as Chairman and CEO of Aetna, Inc., one of the nation’s leading health care and related benefits organizations. 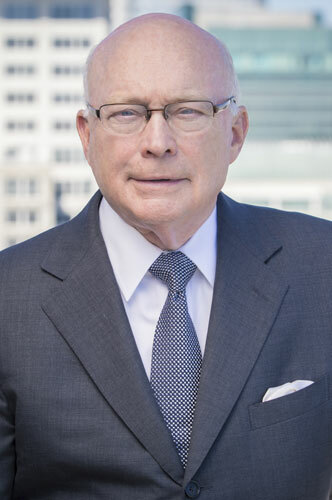 Before his tenure at Aetna, from 1998 to 2000, Dr. Rowe served as President and Chief Executive Officer of Mount Sinai NYU Health, one of the nation’s largest academic health care organizations. From 1988 to 1998, prior to the Mount Sinai-NYU Health merger, Dr. Rowe was President of the Mount Sinai Hospital and the Mount Sinai School of Medicine in New York City. Before joining Mount Sinai, Dr. Rowe was a Professor of Medicine and the founding Director of the Division on Aging at the Harvard Medical School, as well as Chief of Gerontology at Boston’s Beth Israel Hospital. He was Director of the MacArthur Foundation Research Network on Successful Aging and is co-author, with Robert Kahn, Ph.D., of Successful Aging (Pantheon, 1998). Currently, Dr. Rowe leads the Aging Society Network. He was elected a Fellow of the American Academy of Arts and Sciences and a member of the National Academy of Medicine. He serves on the Board of Trustees of the Rockefeller Foundation, the Board of Fellows of Harvard Medical School, and recently stepped down as chairman of the board of overseers of Columbia University’s Mailman School of Public Health. He was founding Chair of the Advisory Council of Stanford University’s Center on Longevity, a founding Commissioner of the Medicare Payment Advisory Commission (Medpac) and Chair of the Board of Trustees of the University of Connecticut and the Marine Biological Laboratory. Dr Rowe has an impressive publication record and he is highly cited for his publications on successful aging and its characteristics. What do you expect and hope for from the IAGG-ER 2019 congress and your visit to Gothenburg? I hope to raise awareness to the topic of ageism and to inform people about the WHO global campaign to combat ageism. I also hope to learn more about areas that I am less familiar with. For instance, I have no formal training in biology- this is why I usually attend conference sessions that are focused on biology. In addition, I hope to meet friends and colleagues that I have been collaborating with for the past four years as part of the COST Action on ageism (COST IS1402). And, last, I want my students to also attend this conference, present, meet people and engage with early stage and more established researchers from Europe and beyond. Prof. Ayalon is a Professor at Bar Ilan University, School of Social Work. Her main area of focus for the past few years has been ageism – the (often) negative construction of old age. She has made active attempts not only to study the course and origins of ageism, but also to increase awareness to the topic and raise action to allow older adults to reach their full potential. She is the chair (with Prof. Tesch-Römer) of a COST Action on Ageism from a multi-national, interdisciplinary perspective (COST IS1402). She is also the coordinator of a new Marie Curie Innovative Training Network on Ageism (EuroAgeism). Prof. Ayalon is a member of the WHO core group to develop a global campaign to combat ageism. She is also a member of the Israel and Global Young Academies. The IAGG-ER congresses are multidisciplinary, and covers aspects of aging from the level of cell components to societal participation. How do you see your own role within this broad field of scientific inquires? My role is to inspire and support interest in the use of coherent theoretical frameworks that drive investigation questions related to the lack of equity in the care of the vulnerable populations globally. Among the vulnerable populations are those who are growing old, as well as those who are marginalized and are not rewarded for their caregiving roles. Additionally, my role is to acknowledge and to inspire scholarly contributions by nurse scientists. What are the most exciting challenges in your field of aging research? The global focus on vulnerable populations, women as providers and recepients of care, underserved minorities and the centrality of nursing in providing the compassionate evidence based care to these populations. Dr. Meleis is Dean Emerita and Professor of Nursing and Sociology at the University of Pennsylvania. She has dedicated her career to transitions theory, global health, women’s health, culturally-competent practice, interprofessional education and the epistemological analysis of the discipline of nursing. The theme of IAGG-ER 2019 is “Towards capability in ageing – from cell to society”. What is your thoughts on the theme and how is your own research related to it? The body’s physiological functioning and the capability are fundamentally based in the health and efficiency of cells. Our research aims to understand what is health at the cellular level and how best to maintain or improve it for achieving a healthy old age both at an individual level and at the level of the society. I am very confident that the Gothenburg congress will continue to great tradition of IAGG-ER congresses in creating a successful platform for researchers, scholars and the general public to interact, communicate and understand each other with respect to this most important issue of age, ageing and the quality of life in old age. 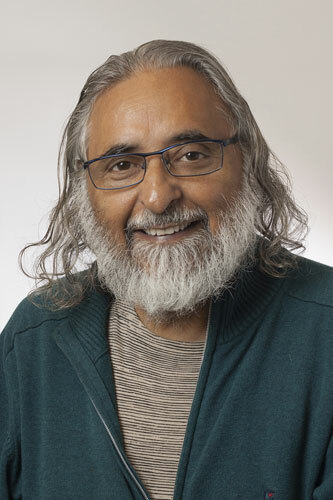 Suresh Rattan Ph.D., Dr.scient., is a Biogerontologist, with more than 35 years of research, teaching, and public communication experience in developing the principles of biological ageing and interventions. He is the Founder and the Editor-in-Chief of the journal BIOGERONTOLOGY, published by Springer-Nature. He is also the present Chairman of the Biological Section of IAGG-ER. I situate myself at the interface of psychology and sociology, as I am interested in how social norms and expectations, contexts interact with personal goals and values in how people structure their lives across adulthood and old age. Particularly in old age, a time in the life course that is characterized by few social norms and expectations impacting on developmental regulation, the role of self regulation becomes more and more important. Moreover, biological factors leading to increased health-related risks and problems, constrain the range of possible developmental trajectories in old age. 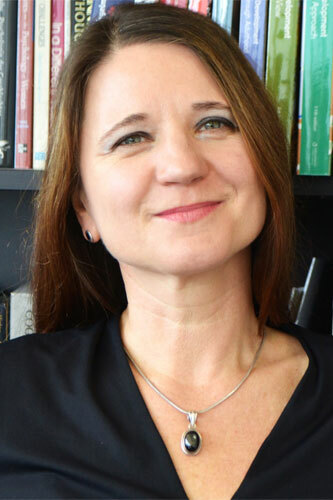 Alexandra M. Freund is a Professor of Psychology at the University of Zurich with a research focus on processes of successful aging. Before coming to Zurich, the main stations of her career were the Free University of Berlin, Stanford University, the Max Planck Institute for Human Development in Berlin, and Northwestern University. Her central research interests are processes of successful aging, motivation across adulthood, and lifelong learning. Person-centredness has for over a decade been the cornerstone of practice in gerontological nursing. The focus on personhood and positive care environments has resulted in significant change to care cultures – especially residential long-term care settings (nursing homes). Significant innovations developed in these settings have become normalised in gerontological nursing as a whole. This is very exciting for nurses who work with older people and for the potential of older people to flourish throughout their lives. IAGG-ER is a great opportunity for sharing work, challenging (my) perspectives and learning new things. In addition it is one of the most important events for networking with other gerontologists in Europe. I look forward to engaging in all of these activities. 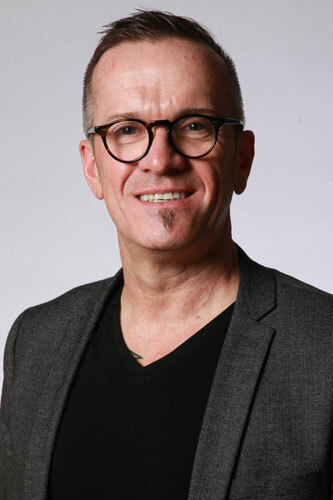 Professor Brendan McCormack is Head of the Division of Nursing; Head of the Graduate School; Associate Director, Centre for Person-centred Practice Research, Queen Margaret University, Edinburgh. His writing and research work focuses on person-centred practice, gerontological nursing, and practice development. The major challenge in epidemiology is to apply what has been learned in epidemiologic studies on older populations, so that effective prevention and treatment strategies can be developed. Many risk factors for disease and disability have been elucidated, and a lifelong approach to promoting healthy aging has emerged as a priority. The theme of IAGG-ER 2019 is “Towards capability in ageing – from cell to society”. What are your thoughts on the theme and how is your own research related to it? Excellent theme, underlying that geriatrics and gerontology have as common goals to reduce the burden of illness, enhance quality of life, and maintain health among older adults. In order to reach these goals we must first understand the intricate web of interdependent genetic, biochemical, physiological, economic, social, and psychological factors, and the program will reflect all these efforts with a multidisciplinary approach. 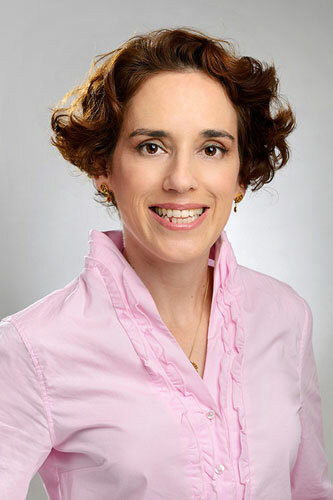 Dr. Maggi is a Board-Certified Geriatrician in Italy and obtained a MPH at the Johns Hopkins University. 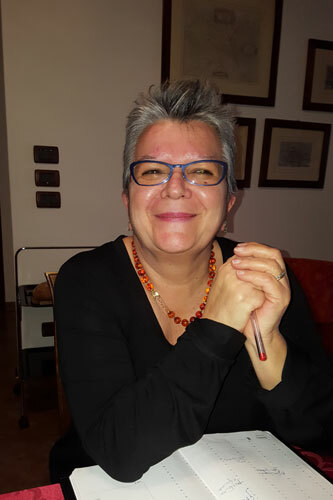 She started her career as coordinator of the Program for Research on Aging of WHO, based at NIA, NIH, Bethesda, MD, US, and is currently Research Director at the CNR Aging Branch-Institute of Neuroscience in Padua. She is a member of the Board of Directors of AFAR and Past President of the EuGMS. Tommy Cederholm, Professor, MD., PhD. The challenges my research faces are to understand and find remedies for catabolic conditions during ageing that is linked to ageing itself as well as the illnesses that are linked to ageing. Ensuing undernutrition and sarcopenia are conditions that strongly affect independence and quality of life at old age. Ageing-related catabolism with undernutrition and sarcopenia is a broad scientific issue that covers many professional domains, spanning from basic science into caring science as well as social science. In my research pursuit I have collaborated with nutritionists, physicians, dieticians, nurses, physiotherapists as well as with social scientists. 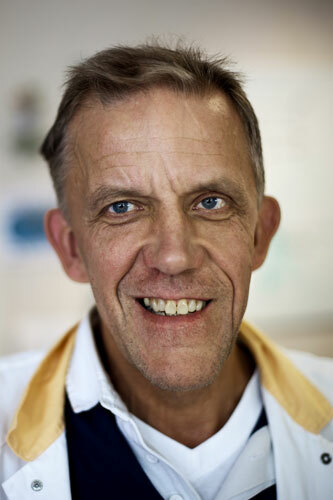 Tommy Cederholm is Professor of Clinical Nutrition with a focus on energy, fat and protein interactions with catabolism, inflammation, body composition and nutritional status in old adults, chronically ill subjects and patients with dementia. 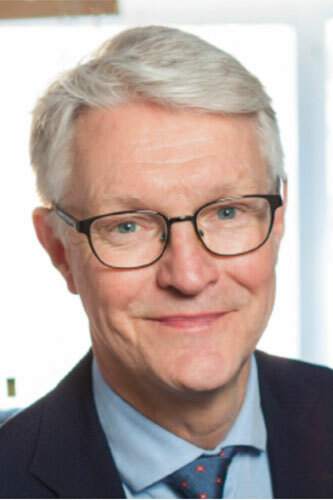 Professor Cederholm is also senior consultant at Theme Ageing and Deprtment of Geriatrics, at Karolinska University Hospital and Uppsala University Hospital, respectively. As populations age, and we understand the complexities and heterogeneity of the individual ageing process, the challenge in all regions is how to sustain and enhance well-being across an individual’s life, while at the same time reducing the inequalities within each generation, and ensuring an equitable reallocation of resources between the generations. Indeed, inequalities in access to global and national resources – health, economic and social – is likely to remain a pressing concern over the coming decades. 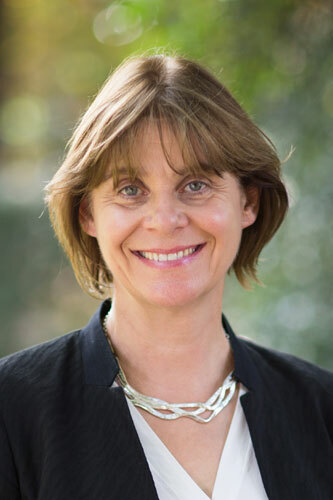 Sarah (MA Cambridge; DPhil, Oxford) is Professor of Gerontology at the University of Oxford and founding Director of the Oxford Institute of Population Ageing. Her research on demographic change addresses the societal impact of falling fertility and increasing life expectancy. 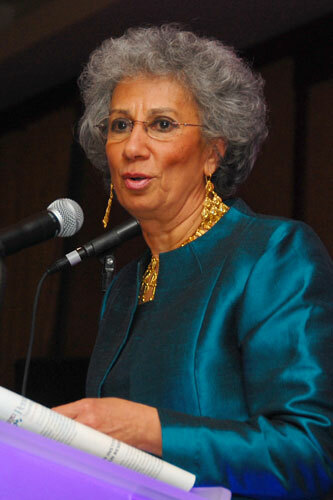 She holds a British CBE for services to Demography. I look forward to having an opportunity not only to share perspectives from sub-Saharan Africa (a region that has not featured much in the international scientific gerontological discouse), but also to learn from the insights into European ‘realities’ of ageing that will be discussed in Gothenburg. 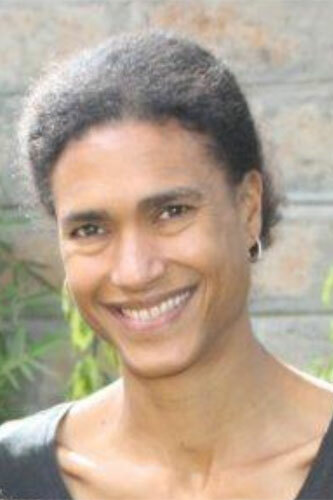 Isabella is a Senior Research Scientist and Head of the Aging and Development Unit at the African Population and Health Research Center (APHRC), Nairobi, Kenya. She holds additional positions as Visiting Associate Professor of Gerontology at the University of Southampton, UK and Extraordinary Professor at North West University, South Africa. Our research is focused on various fluid biomarkers that can give us a better understanding of ageing in the central nervous system (CNS). This knowledge can also assist in the diagnosis of various types of dementia and other brain disorders that impair capability in older adults. The IAGG-ER congresses are multidisciplinary and covers aspects of aging from the level of cell components to societal participation. How do you see your own role within this broad field of scientific inquiries? Brain functioning is crucial for all of us, but in later life, the risks increase for compromised function which seriously can affect the capability. We hope to be able to contribute with biomarker data on whether or not people included in ageing studies are affected by specific pathological changes and neurodegeneration. We also hope for an improved clinical utility that allows early diagnosis and more efficient treatments of age-related neurodegenerative disorders. 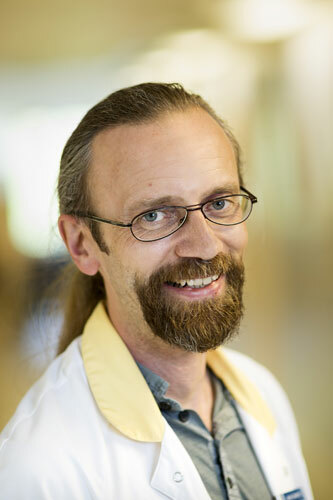 Kaj Blennow is a Professor of Clinical Neurochemistry at the the University of Gothenburg, Sweden and Head of the research team on “Neurochemical Pathogenesis and Diagnostics” at the Dept. of Clinical Neuroscience, University of Gothenburg, Sweden, as well as Head of the Clinical Neurochemistry Lab at Sahlgrenska University Hospital, Gothenburg, Sweden. Blennow and Zetterberg have published more than 1500 papers in the field and both have received numerous awards for their research. There exist so many various disciplines including genetics, epigenetics, medicine, biology, epidemiology, nutrition, psychology, environmental science, sociology, anthropology, demography… all of them dealing with population ageing. Each discipline proposes experimental results and theories suggesting which factors contribute to longevity. The main challenge is to build an interdisciplinary theory of healthy ageing considering the input of all these disciplines. Therefore the field investigation on the oldest olds in the Blue Zones give the possibility to address the topic in the best conditions as these people present many common traits and experience the secret of longevity. 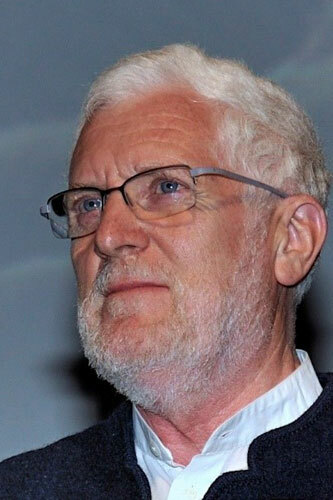 Michel Poulain received a PhD in demography at UCLouvain. He is specialized in centenarian studies and validated the age of numerous supercentenarians. In 2000, he introduced the concept of Blue Zone for populations experiencing exceptional longevity and identified so far four Blue Zones in Sardinia, Okinawa, Costa Rica and Ikaria.